"Snowflake has made my life easy"
Snowflake is way faster than other DBs I have worked on for daily uses. If table is clustered (optimized) then joins on huge table can be also be very fast. Best of all, snowflake gives you capability to assign different warehouses for ETL , adhoc usage etc. Hence adhoc users dont have to kill their queries for ETL to run and finish. You can see the query plan in the snowflake UI itself. With their latest feature - AUTO CLUSTERING, now users dont have to worry about cluster and recluster as well. Snowflake has a UI as well. Less savvy users can use snowflake's UI instead of buying any other product from the market. UI has some pretty standard features but its not the best UI I have worked with. Snowflake UI goes does very frequently, partition pruning might not work if cluster keyed filters are part of CASE WHEN. So in nutshell, snowflake support is good but could be better in updating ETAs on their tickets. Creating a data mart to aggregate revenue from different product streams. Snowflake has been more reliable and predictable in terms of processing. "Powerful tool that offers impressive query performance against semi-structured data"
The feature that stands out most to us is the fact that we can send raw JSON into snowflake and each property is automatically indexed. This gives us the ability to operationalize our use of semi-structured data with minimal engineering overhead. Currently the only headache we're having is that it does not work to seamlessly integrate Azure Append Blobs into Snowflake. It still feels a bit like Microsoft Azure is a bit of a second class citizen. If you're already using Amazon AWS, Snowflake will be very easy to utilize. If you're a Microsoft Azure shop, there will be a few additional hoops to jump through and some additional cost overhead, but it's still worth the headaches once that data is loaded into Snowflake, as the query performance and scalability really does seem to be the best of the tools we've evaluated. We wanted to build a robust automated data pipeline that would ultimately result in a de-identified data warehouse that provided scalable reporting functionality across massive data sets. Using semi-structured data allowed us to create a relatively generic, performant pipeline for our big data to get ingested into Snowflake, and the tool's scalability allows us to query that data in an efficient manner regardless of how much data is utilized. Compared to our previous hadoop-based reporting functionality, the performance is not even comparable. "Performant, Secure, and Scalable Cloud-based Data Warehouse "
Snowflake is easy to set up and use. It provides a lot of flexibility in terms of performance and cost efficiency by its ability to scale clusters up and down in an instant. Snowflake's best feature though, in my opinion, has to be "time travel". Time travel is a concept of deriving data from any given point in time. Snowflake also has a "share" functionality, which allows us to share data across the company with ease. Snowflake's capability to clone has also helped us in our testing efforts. There's not much to be said here. Snowflake was one of the most flexible and scalable warehouse options we found in the market when researching for a cloud-based data warehouse. Snowflake allowed us to centralize most (if not all) of our data sources into a theoretical single space, which made reporting to our clients easier. Snowflake allows us to easily join data across various data sources within one single space. Some queries are not optimized as you'd expect them to be, that leads to you writing some workarounds which work "kind of" the way you wanted them to be. Sometimes support team resolves problems, but sometimes they reply something like "it's the way it works, deal with it". I also wish the query details\profile screen was easier accessible from worksheets: the UI is sort of slow in switching from worksheet to query details and if you do that as one off - it's not a biggie, but as you do it more often - that becomes a hassle as UI getting laggy and works slow. Nothing really! The organisation is growing rapidly, so they don't necessarily have the customer suppot teams outside of Europe. Some functions are WIP e.g. additional windowing functions, recursion. Snowflake is acting as a data lake/warehouse for my organisation, which alleviates the need to have eg Hadoop for storage and an RDBMS for presentation. One platform makes it so much simpler. "Easy to use zero maintenance true cloud data warehouse"
Snowflake is a zero maintenance true cloud data warehouse. We can control the cost, scale up and down the resources needed to make it fast. It is compatible with ANSI SQL which makes querying data very easy. Also in built support for JSON handling that data easier. Strong security come out of the box with roles and schema level controls. I would want more ways to load data into Snowflake. Also handling of more character types would make some tasks easier. Some of the error messages are not intuitive. Also native integration with traditional databases would make it easier to manage ETL jobs. Some kind of inbuilt scheduling capability would also make it easier to use Snowflake. Good product. But need to manage to keep costs lower. I gather data from multiple data sources in different formats into Snowflake and then stitch it together using ETL. By this I build data marts for marketing, sales, product etc. which are then connected to Tableau to produce dashboards. This has enabled full view of our customers journey and easy insights for different teams across the company. "Most groundbreaking data warehosue + data lake platform money can buy"
Snowflake completely changes the data warehousing paradigm. All of the implicit weaknesses that are baked into the core architecture of every major DW vendor in the last 30 years are gone. Endless CPU, endless storage, endless RAM. You will never get a spool space or tempdb error. You can store XML, JSON, and flat files natively and join them into your relational table queries. Snowflake automatically scales horizontally as necessary to complete the workload as quickly as possible. It has oustanding NoSQL support, but it's also the fastest and most flexible relational database you can get at any price from any vendor. Including the ones that cost 7-8 figures per year. Partner support (ETL tools, BI tools) isn't as broad as more established databases. However, this is changing quickly. Most of the modern players already have connectors. Hire an expert to help with the move. It has ANSI SQL support and uses Oracle SQL syntax, but many of the design considerations can be quite different than any other database. One of our customers was on the verge of making an investment that was deep into the 6 (or 7) figures to make a major upgrade to an existing data warehouse platform. We did a bake off with each vendor, and Showflake was the only game-changer. Every operation is on average 20x-25x faster than their legacy infrastructure, and 5-10x faster than every other database in the bunch. And the cost basis is roughly the same as their legacy DW infrastructure, which is 5x less than it would have been with any other vendor. "High quality, cloud-scale database platform"
Our model is to share access to various portions of an analytics warehouse in a multi-tenant, multi-cloud environment. Snowflake has been tremendously easy to implement and configure to support our model. Customer provisioning is straightforward and cost per customer metrics are easy to collect. Managing the per-tenant shares is a piece of cake. One current snag in the customer onboarding model for us is that there is a manual finalization step on Snowflake's side for setting up a new customer reader link to our primary account. This is a one-time step per customer that can be performed ahead of time, so it's not a crisis, but having this be fully automated would be a huge win for us. Separate compute and storage for easy workload management. Don't have to think about distribution strategies or indexes. It's fast. For such a young database, I'm impressed by the feature support. Hands down not being able to load json into a regular table. I HATE how you need to insert json into a one column type variant table then flatten out. This should be natively supported imo. If cost is a consideration, check out the auto suspend feature for warehouses. If you are only getting queries during certain parts of the day, you can have snowflake shut down compute resources after a given amount of inactivity to save on cost. Different workloads for different use cases. We demo our product with data served from Snowflake; I love how I can allocate a bunch of resources to that specific use case. I like the fact that we have got many disparate data sources into 1 place. The queries issued against the data are quite fast and the data is stored optimally, taking up less space than they use in the source systems. Scheduling is needed within snowflake itself. A full fledged client would be preferred to the web interface. More features within the SQL code itself is needed, like correlated sub queries in the select, instead of only in the where clause. Get one of the recommended ETL tools to get your data into snowflake and give snowflake a trial, you will be amazed at how fast you can get all your business data into snowflake and the the speed of your queries. We have been able to join multiple disparate data sources into one place and are able to query across these data sources to get more insights into the business operations. The Snowflake capacity to deal with a really large amount of data, usually faster but if not you can always bump the warehouse size and get results faster, and this all is done within a few clicks and smooth. Very well documented as well and quick support answers when needed. Lack of UI features for operations and debug. Not able to give hints to the compiler. Some updates that cause unexpected issues sometimes. Talking about a software engineer view I definitely suggest you to give it a try. I'll be amazed by speed, features, and easy implementation, I can even run queries from my Sublime editor. The whole team is way more productive by not having to think about the db solution as much as before. Basic ETL queries over a huge amount of data. This feature is helpful for user to increase the node size and config depending on their need. There is no need to wait for hardware to be in place whenever we increase the dataset. Snowflake provides the option to increase the node or cluster size whenever required. Of course, every product has pluses and minuses. From that perspective, Snowflake has to improve there spatial parts. I mean it doesn't have much stuff in geo-spatial queries. Scalability: Ability to load huge number of datasets (I have experience with petabytes of data) and process those things. Storage is not limited. We can increase whatever we want. Performance: The distributed architecture of Snowflake has the capacity to process huge dataset faster and we can scale up and down as per the need. Flexibility: This feature is helpful for user to increase the node size and config depending on their need. There is no need to wait for hardware to be in place whenever we increase the dataset. Snowflake provides the option to increase the node or cluster size whenever required. Multi-formatted accessibility: The Snowflake engine has the capability to read the following file formats: CSV, DELIMITER, FIXEDWIDTH, AVRO, JSON, BZIP2, GZIP, LZOP. The user can choose which is best for their requirements. Configuration: Even-though its running in AWS platform, it beats their platform product. Actually I feel more flexible than Redshift. Snow-pipe: Snow-Pipe is better system to feed stream data to snowflake database. This is really helpful for less self-life triggering datasets. "Snowflake is great for performance and low maintenance"
The performance has been great. We have seen 3 to 8 times improvement on query performance. There has been very low maintenance work such as tuning hardware or system configuration or query plan optimization. The auto resume and auto shutdown is great for cost savings. Also, we are using processing semi-structure data like JSON as well. More improvements in on the Stored Proc front. Make sure your solution separates compute from storage. Evaluate how much technical expertise it takes to administer the system (lower is better). Centralizing our data and reducing complexity. "Easy to use, easy with json objects, easy for ETL"
Snowflake lets me load a lot of formats of data and play around with them. It reads anywhere from .gz to .csv and let's me copy specific coloumns' data out. I actually use it as a replacement for Ms Excel on my Mac. I had taken a python course and instead of using Pandas, I used Snowflake to good effect. Snowflake could bring in the support of a procedural SQL like PL/SQL. That would really make it unmatched. It is wort giving a shot if you are reconsidering your ETL options. We are using Snowflake for in house data warehousing and ETL. We run all our analytical and intelligence generation queries on Snowflake and have realized how fast and efficient it is. We have taken over all of the DBA management for our warehouse(s) without additional resources. This is because we don't have very many maintenance or configuration tasks (or issues). Have a more robust stored procedure features will be great. Snowflake out performs others by separating compute and storage. Per second billing in conjunction with pausing and auto resume can really save cost. We have very little maintenance and configuration work. My team has taken over all of the DBA tasks since there are so few and it's very low complexity. Meeting SLAs by moving from nightly batch processing to near-real-time micro-batching (15-30 mins). We needed to migrate from RedShift quickly, and moving to Snowflake was easy. The think I like most is Snowflake's separation of compute and storage, which gives me a huge amount of flexibility when assigning different workloads. I also appreciate the query caching that Snowflake does to decrease my cost and increase the performance. The only thing I don't really like about Snowflake is that there is one Identity Provider per account. This means I have to have more accounts than I would normally create, and the accounts cannot share a pool of compute, thus eliminating some of my economy of scale. It's a great product. Make sure to calculate your usage and thus gauge pricing effectively. We needed a fast, stable, built for cloud Electronic Data Warehouse for our data platform, and Snowflake has fit the bill perfectly. Management of our databases has become an easy activity with Snowflake, as there is very little management overhead compared to similar offerings. "Snowflake makes building a data warehouse / data lake easy"
* Ability to easily and quickly scale storage and compute independently. Lots of scaling options. * Integrates well with our Business Intelligence tooling. Lots of native integration support. * Excellent community. Lots of events and resources for learning how to effectively use the product. There are still a few technologies we've looked at that are in the early days of building a native integration with Snowflake. In the past, I've needed to refresh schema role grants when adding new tables; it'd be convenient to express that I want those automatically included in the grant. Snowflake's capable platform allows us to stitch together disparate data sets and build strategic insights. We've built analytics products that can pull from Product, CRM, and a multitude of Operational data sets. Some of our data sets are huge, but that's not been a problem for Snowflake. 1) Speed (single execution) - everything is ridiculously fast. I'm no longer restrained by what I can do because of speed constraints found on other systems. 2) Storage - super cheap storage is huge for me as a developer. My job is so much easier when I can log and save more data. 1) latency between executions. We execute a lot of statements at once, but the throughput of those statements is slow. It would help if we could submit multiple statements in a batch. 2) Need real stored procedures... the current development preview of procedures is disappointing. I would not call them "procedures". I would call them "internal APIs". Looping in the current procedure just submits SQL statements that have the same latency problems as item 1. Makes them pretty much unusable for row by row processing of many rows in a loop (which is the only REAL reason you should ever have to use looping in a SQL language). We have two situations for looping at speed row by row for thousands of rows... row by row processing of data where some rows could have an error, while others do not. The other is just super complicated calculations that just are more maintainable in a loop (lead and lag functions might make it possible, but more difficult to maintain). 3) support has gone down hill since the early days... we are now getting responses from front line support with responses that are not helpful at all. We always have to get to 2nd tier support before we are helped at all. Front line support just responds with stuff that we already know that doesn't help us at all. 1) Reporting on a decent size data warehouse that isn't perfectly optimized. Reports that were taking 50 minutes in the past on old systems, take minutes with Snowflake with data structure changes. 2) Transactional processing - We are recently using Snowflake for a "middle layer" of integrating between multiple systems. We use snowflake to keep track of many jobs that are sending and receiving data between many systems. Beats Redshift in performance and cost. The in-time snapshot to roll back data to a previous state is also pretty incredible. The data storage costs is very low in comparison to Redshift and the computational speed far exceeds what Redshift can handle. DUO push as a two step authentication is a bonus. Extra fees for security and vpc. Not really a big fan of paying roughly 30-50% more for AWS VPC routing. Also there might be a need for more support hours since databases can be used 24/7 downtime can occur anytime. During a regional, but not national Holiday, most of the company was out and there wasn't any method to contact support team besides leaving a phone number and waiting it out. Better support hours. During one of the regional but not national US holidays it was hard to reach anyone for support. Wondering if there are better support pricing plans. Also would be nice to not have to pay significantly more for AWS security integration features. All in all, it still beats out Redshift by miles. Data Analysis, Big Data. Parallel queries. Reaped benefits in roughly 1/3 the cost of Redshift and in significantly improved query times. "Perfect Data Warehouse in the cloud"
JSON support is amazing. While other engines support JSON format for data types, snowflake does it with performance. It is a breeze to query data stored as JSON because of underlying columnar storage that JSON gets converted to. We also like how easy it is to add additional compute nodes when needed. This was a pain point with some other vendors. With a push of a button (or a simple script) you can add additional compute power. When the demand subsides, you can turnd those off. Cost. It's on the pricier end of things. Between Azure Data Warehouse and AWS Redshift, Snowflake was significantly more expensive even with auto shut off feature enabled. But it seems that some of those costs can be written off due to simplicity of set up and maintenance that would typically go to DBA resource. Getting data into snowflake is slightly different from some other ETL processes that you may have encountered. Mind that piece when evaluating. We were in need of a modern, cloud and scalable data warehouse. We have a lot of data that's pretty structured for the most part, and we were looking for a product that can provide quick reads on analytic loads. "Great value for money, actionable data platform that will accelerate any data strategy"
We got to modernise our ailing, ageing data infrastructure without it costing the earth. Our data staff, all conversant in SQL were able to transfer their skills overnight, and our analytics staff all got access to cloud scalability to support their heavy analytical workloads (no Hadoop in sight). VERY, VERY cost effective way to modernise! Nothing - it's brilliant! Would really love there to be a built-in environment for scheduling SQL scripts, but there are plenty of ETL tools for this already. Just do it. Honestly, if you are looking for a sophisticated data platform that supports heavy analytical workloads, whilst keeping it simple then you will not find a better solution. Business problems / opportunities = Single Customer View. Customer Data Platform. Website engagement / data collection. Enterprise Data Warehouse. Business Intelligence modernisation. Predictive Analytics. Benefits = cost savings over "big data" solutions; cost saving on data warehouse management, business intelligence modernisation, supporting predictive analytics initiatives that are saving money / boosting top line sales. In-sourced single customer view. "Outstanding performance and stability. Room to improve on support." The database is incredibly fast even when using many joins and even with text joins. The functions ROLLUP and CUBE are critical to the way we use Snowflake and those have been unavailable in other systems. Our sales rep Sarah at Snowflake has been wonderful to work with. Support has been working a bug where queries return incorrect results for a while now. This does affect our customers, but the incorrect results cause rows to be shown many times so it's more annoying than it is misinformative. Snowflakes ABSOLUTE REFUSAL to shutdown while overloading it is awesome, but it has caused service interruption on our side due to a bad query hogging all of the resources. Instead of quitting and restarting all processes, Snowflake dutifully worked on churning the data. Good? Bad? I don't know. The query was never going to happen, so we ended up manually having to kill it so all other backed up queries could run. That being said, we are still working on developing our skills with using all of the database tools. Our previous solution handled building temp tables much better than snowflake does. This was a huge performance drag for us in the beginning so we switched everything we could from building a temp table to either running one larger query or using sub queries. Things are MUCH better now. It also seems like one of the weaker points is moving the data out of Snowflake to the MySQL database or web server. We made some of our own changes to help with this. We use snowflake for the back end of our reporting engine. Midday we will see huge spikes in reporting load and the auto scaling capabilities allow us to get the most out of our money by spinning up more only when it's needed. "Fantastic product. Easy to use and works great." The separation of compute and storage is pure genius. Such a simple concept, but has such a tremendous impact in terms of how you manage your database performance /workloads etc. Almost nothing to tune performance - no indexes / partitions to deal with. Time travel functionality is something the business likes as well. Support for semi-structured data has allowed us to transform complex business data into easy analysis points for the business. Support is a bit spotty and difficult to get hold of. The new lodge is a great start, but will take some time to build up fully. The error messages in Snowflake are a bit cryptic at times, making it harder to troubleshoot complex issues at hand. If you're looking for a simple, no-hassle solution where you can focus more of your / your team's time on what do with the data vs. how to engineer it, I would highly recommend snowflake. Very easy and intuitive platform. Faster time to market and better partnership / response to business needs. Simplicity from a data engineering and analytics perspective and rapid scale. Streamlined data management processes from a business perspective, as well. "Amazing solution and great company to work with"
There have been a few outages and we've also encountered some bugs. All of this is par for the course, but of course, we would like to try to minimize and avoid this whereever possible. Snowflake has been a game changer in our organization. It addresses so many of the challenges that many traditional solutions have and provides incredible flexibility that will enable a multitude of use-cases. I would strongly suggest that this be one of the top initiatives that you consider and drive. The ability to spin up larger computes (or as they call warehouses) is amazing for the large ETL tasks. The semi-structured data support with JSON columns and querying directly into them is a true godsend. Dislike the need to keep shutting down the servers and not being able to have it up 24/7 with reasonable costs. This means a lot of conscious effort needs to go into batching up loads to Snowflake and prevents the data warehouse from having any quick intraday usability. If you don't need any near real-time querying of data, Snowflake's pricing model works out well. If you just need to run it every once in a while to do some ETL jobs and then have a caching server that can do the rest of your ad-hoc queries, it is great. 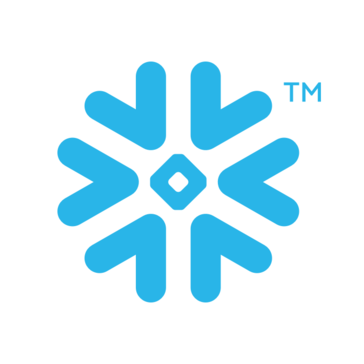 Snowflake is our new centralized data warehouse that everything pipes into. We have clickstream data for product analytics coming in from Snowplow. We also have Fivetran running on many source datasets to replicate our sales and user accounts data sets into Snowflake regularly. Snowflake is the backbone for all business analytics, product analytics, and data science development models. We may not necessarily use it to build real-time data science models, but it is a good start. "Finally, Cloud-based data warehousing done right." Big data capabilities with the familiarity of SQL. No need to learn a new language. Auto-scaling of computing resources and data sharing functionality. Compilation times on somewhat complex queries is high. We use materialized views to address this problem and take advantage of caching, but we believe there is room for improvement here. Do ELT instead of ETL. Take advantage of SnowPipe, Alooma, Fivetran or any other streaming service/architecture to get your data into Snowflake. Making semistructured data available for analysis, allowing power users to directly query the DW without interfering with production resources and the potential of the data sharing capabilities have been a big win for us. "Data Solution that's fast and simple"
I like the speed at which you can accomplish a task that is assigned to you by using the variety of tools provided by Snowflake. I only dislike the fact that tables with constraints are not enforced particularly with a primary key. If you are looking for a fast, reliable, and easy to use data solution. I would look no further than Snowflake. Faster than Vertica, Hive, and Presto. Well balanced pricing plans and outstanding support. We are solving Data Visualization problems and Snowflake excels at this due to its speed. The viz needs to interact with the underlying data table very quickly and we had great success with Snowflake. We are also solving ETL pipelines. We have seen Snowflake churn through TB's of data in a couple minutes which is pretty awesome and not possible with any other solution to date. Love that the platform integrates with many different cloud based services. Along with the ease of use, The service is great, when a ticket is submitted, they're really good at replying to your issues. When there are service interruptions, they make sure we're the first ones to know. No stored procedures or event handling. Some services require us to pay a little extra even (such as reclustering) as it should already be included in the price. Sometimes the UI lags, but made huge improvements to the new UI. Keep creating services to allow the product to be easily useable. Make sure your data is already available in s3, and know how to use cloud based services like amazon web services and/or microsoft azure. Loading large mounts of data in near real time availability. Also the ability to use jdbc connections to various Business Intelligence platforms was a deal sealer. The features which are utterly unique, like time travel, zero copy cloning and separate costs for storage and compute. Snowflake is especially controllable - I can create data warehouses for specific purposes and groups of users or processes, and determine when they're available - all on the basis that the cost relates to the value. Snowflake is still new. There are some features which would be useful around metadata management for data analysts, and other functions which other databases have. But I'm sure these are on the roadmap and will come in time - probably sooner than I expect! You must take a look at Snowflake. It represents a massive and significant step-change in what's otherwise been a very staid area of computing. To become more customer centric, to improve the efficiency of business operations, and to make it easier to comply with regulations. All of these can be achieved more effectively, faster and at a cost that more directly reflects the benefits achieved, than with other databases I've come to know. Snowflake is managed in a way that your queries perform optimally without much effort on your part. The database user management and roles is familiar (think PostgreSQL style) and can be done through a user interface or via SQL--both business users and experienced DBA's will be comfortable. I can't honestly think of much. The AWS region limitations are slightly problematic for East coast users, but overall this hasn't affected us hardly at all. Consider this as an alternative to other columnar databases like Redshift. The speed is faster, and definitely outperforms MySQL and PostgreSQL on large, aggregate data. Real time analytics for lab customers in the healthcare space. "The new generation Big Data Platform"
The performance, its support for semi-structured data and the Acid back-bone. It is like having Hadoop with Transactions and fine role-base security. Data Sharing is also new to the database world. We can now share any data with our Clients without additional burden. It would be nice to be able to self-manage the fail-safe. For instance tables from the fail-safe should be removed explicitely so no storage is vasted. Lean how to monitor and handle the costs. You need to do that actively as the easy to use and its flexibility can increase costs quite rapidly. Scalability - you can add as many compute nodes as you need to in order to meet your demand. You can also shut them down as needed to save on the cost. Cost and perceived savings of auto shut off. While the concept is awesome, being able to auto shut off is the only way to make Snowflake come even close in terms of cost to Azure data warehouse and AWS redshift. Evaluate the cost savings of auto shut off. It may not be as worth it compared to other vendors. Also investigate ETL tools that work with. Even though SnowSQL can ingest data, there may be better options. Servers as a data warehouse. Since it is a fully managed cloud service, a business doesn't need database administrators to set it up and perform management. "Snowflake has been amazing for our company"
Probably my favorite thing is how we can spin up the size of Snowflake for our ETL loads and derived tables builds throughout the day. I think what we struggle the most with is applying security roles to all schemas, databases and tables. Snowflake does have robust security but it does take some time to set up. Do a POC to see just how much better Snowflake is if you are struggling with your current database. We are able to get our important reports out much sooner each day than when we are on Redshift. "Optimally Structured SaaS Data Warehouse"
The best parts about Snowflake are the ease of implementation, the no maintenance scalability and integration partner availability. From a storage perspective, it is extremely efficient. You can create a complete clone of a 5TB database (like a pointer) without using additional storage, only using enough storage to track changes. You can choose whether to persist the changes or create a real physical clone. This allows you to have staging copies to real-world test updates on live data before you commit them. Additionally...un-dropping dropped tables and point in time historical queries are nice too. Built in 2 factor auth is scalable. There are small admin usability features with the UI that could be improved, but it seems like with the latest release, they have addressed some of them. Easier 2 factor enrollment would be a nice to have. Honestly, you should not be able to enroll a user without 2 factor authentication enabled. Don't waste your time setting up crazy configurations in the AZ arena. Just get this and start building. There is just not enough time to recreate the underlying plumbing every time you build a solution. This platform scales and is robust. Enterprise Data Warehouse at scale. Low people investment to get an enterprise solution in place. We can focus on the data vs the underlying technology struggles. There are integration partners like five tran and Matillion that work very well for ELT in order to get data into the Data Warehouse. Snowflake's flexibility in the data warehouse space is amazing. The scalability and price can't be beat! Plus, I have an amazing Account Exec, Chris Li, that is always passionate about providing the best value. I would love to see smart text when drafting SQL. In the process of developing an Enterprise Data Warehouse (EDW). We've made a lot of progress and our internal customers can run queries that are extremely fast making it easier for them to make key decisions. "I think Snowflake could be an excellent choice as a data warehouse"
Snowflake provides the flexibility to use the data warehouse by multiple analysts at the same time. I think you can add more features to the web interface. The way I see it, it eventually should have most of the features a modern IDE has, in terms of syntax highlighting, autocomplete, refactoring. One simple example: it could be great if I could collapse a query. It happens a lot that you run multiple queries from the same worksheet. Before start using a data warehouse, you should understand the use case. It's weird to start paying for running queries. It's not very intuitive. We are used to purchase a product and pay for that. It's strange to pay differently if someone was running a inefficient query. "Recommend Snowflake For Quick/Easy Data Analytics"
It is wicked fast! Queries run faster than out 128 GM memory Oracle DB even when just running the small compute size. Also, everything is simple and they regularly improve the product. The worksheet functionality could be improved. Would be nice to save worksheets externally. Had issues with them not saving properly and all SQL scripts I had saved were lost. Bringing in data from disparate sources, cleaning it, and finding new insights. Benefit to us was setting up quickly and not worrying about any DB administration. "Data Management Solution for the future"
The fact that compute is actually separated from the storage. This makes scaling so much easier but it also makes it much more cost effective. Now that they got the pricing model down to one minute increments this platform is extremely accessible no matter what size the organization and\or data. Loading data into the environment can be clumsy. But once you get the hang of it, it is fairly straightforward to automate with standard ETL tools. Make sure when comparing to competitors that you scrutinize the concept of storage being completely separate from compute. Also understand that there will be a need to adjust the way that you load data into the environment. While it is a standard database for querying it is not very performant on update and inserts. We are addressing our needs for business intelligence reporting. Time to insight has decreased significantly and we are able to ask much better questions of our data at a deeper level of granularity. "Best Data Warehouse out there"
It is super easy for my work as a Data Engineer to connect to Snowflake via Spark and streamline our ETL pipeline. It is ANSI SQL-compliant, so it is not much new to learn for anyone who has a SQL background. We are able to store and easily query more data than ever before. "Snowflake and bigquery are database 2.0"
JSON / XML parsing from s3 to nice relational tables. Stupendously easy to set up and get data in. Cheap storage, plus standalone compute cost. Provides a data layer where the policy can simply be, "Is it data? Then dump it into snowflake", which increases velocity in analytics, BI, diagnostics, and testing. It's both a blessing and a curse - new architecture gets built quickly, and query performance is generally solid, but some brain-dead obvious indexing doesn't persist in some cases, which can cause certain operations to be needlessly slow. There is no reason not to test it. It took us just a couple of hours using the tool for the light bulb to come on. Data storage, JSON / XML / AVRO parsing and aggregation, business intelligence, data science. The main benefits for us have been in improving design velocity and overall data access throughout the company. "Cloud native Database with exceptional performance and usability!" I mostly liked Snowflake compared to other cloud databases and some aspects needs improvements incl. Geospatial functions and additional libraries. -Experience snowflake for elasticity and scalability. part from that end users liked it more due to features like ease of use, cloning, on-demand cluster management etc. Security is huge plus on how data is protected. I'm using Snowflake to house enterprise data platform where all critical insurance related end to end information is stored in the form of real-time dataware house platform. With Lambda-Snowpipe it has been greatly successful to solve business problems. End users are completely hooked to Snowflake functionality due to agility and usability. Since it enables self service cluster management it's even more popular. "Minimum overhead, good query performance"
Snowflake provides lots of features as auto-starting and auto-pausing virtual warehouses that turn the administration of the data warehouse much easier and cost efficient. The pricing model separating compute and storage is very useful in some cases and enables great cost allocation between departments with the concept of multiple virtual warehouses. Queries in Snowflake also run fast compared to other products like AWS Redshift. Even having JDBC and ODBC drivers, the ecosystem with native integration is still small compared to other more established products. Data warehousing with good analytical query performance is what Snowflake delivers. Its technology makes data ingestion easy too. It also delivers great features for cost management. "Blazing fast and cheaper DataWarehouse and iOT platform"
MFA needs to be supported through any tool.Operational dashboard is needed. Enterprise Data Warehouse and Device data at scale. Minimal management roles like DBA and sysadmin. Focus on business enablement and real time data access. Advanced analytics enablement. "As good as they say they are"
I like that Snowflake uses a mix of novel solutions and tried and true foundations to deliver a product that they say they deliver. The main thing is the ease of use, and the speed of use. I guess my only critique would be that I didn't fully understand how it worked when we first started using it and therefore was not able to use it to it's full power. Maybe I wasn't privy to those convos? We are solving major ETL problems and data governance/organizational issues. In addition we are able to make apps work faster than we ever could have otherwise. "Simple to use datawarehouse solution for extremely large data"
Snowflake can handle the extremely large data -- on the order of thousands of TB -- that we have, and provide us with rapid results. Poor documentation -- although clustering is Snowflake's killer feature, figuring out why, after calling 'alter table recluster' on a table, that table is only .001% more clustered than before is painful. It's not clear why you wouldn't just sort the table on insert instead of calling recluster, since recluster on a static dataset incurs the penalty of insertion twice. Not much documentation about how data will be loaded, just vague statements from their tech team that "if your data is naturally clustered, Snowflake will recognize that." Well..... explain what you mean, please. It's easy to use but pretty expensive and can be a little bit opaque to figure out. Primarily we have been using Snowflake to run adhoc reports on the behalf of clients. We would not be able to do so on nearly any other data warehouse system. "A great Solution for Data Warehouse"
The computing speed for the queries has been greatly increased. You an make it even more scalable by increasing the size of VM instance. Ideal for warehouse which follows star schema . Doesn't support stored procedures/ functions. Date operations are pretty complicated and lengthy. The import from CSV doesn't work as well. It requires long process where you have to stage a file to AWS Storage and then only you are allowed to import. We have the Data Warehouse in Snowflake which is the central storage for our business data. The computing is faster allowing large and complex ETLs to execute quickly. "Easy, fast and cost efficient"
Snowflake is super easy to get up and running. The auto-suspend functionality is saving us thousands of dollars per month over our previous data warehouse solution. It would be nice if Snowflake offered service in the us-east-2 (ohio)region where the rest of our app is located. Give it a try, it is very easy to get your data into and get value out of it. The Snowflake experts have been awesome partners. We were looking for a new data store to power analytics and customer reporting needs. We previously used a mix of MySQL and RedShift, which were more expensive and took more expertise to optimize. No maintenance required, good query performance, good SQL support and features, super easy to scale, reliable so far. Data cloning and sharing is unique and awesome and fits our use case perfectly. Some bugs in the Python connector, some query errors for complex queries, can get pricy if high concurrency is required. Permission management differs from MySQL. We only had a single service outage so far. Give it a try, rely on the community. We are building a data warehouse on Snowflake, we have eliminated database maintenance costs and greatly reduced TCO. Query performance has greatly improved. * We monitor all Snowflake reviews to prevent fraudulent reviews and keep review quality high. We do not post reviews by company employees or direct competitors. Validated reviews require the user to submit a screenshot of the product containing their user ID, in order to verify a user is an actual user of the product. Hi there! Are you looking to implement a solution like Snowflake?